Be sure to check out our other pages to see more available horses! 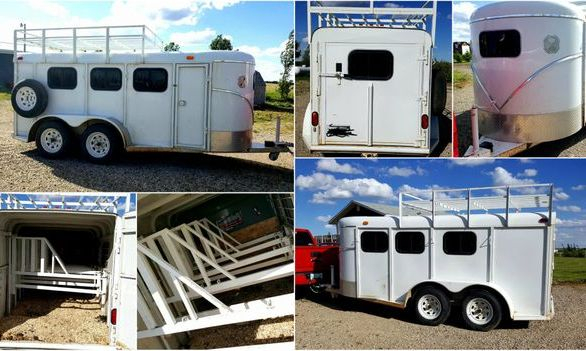 2009 Calico miniature horse trailer. holds 7 miniatures, or convert the front to a tack area. Great shape, good floor. all wiring works. Half ton towable. Tires could be replaced. A 25% non- refundable deposit is required to hold horses. First month of board is free. Any time after the first month a small boarding fee will need to be paid of $70. No board will be charged on current year foals until 1 month after weaning. For out of country buyers- coggins and import papers at your expense, unless otherwise dicussed and determined. They cost $200 Canadian. Signed contracts required for those doing payment plans. No money will be returned if you choose to back out of a deal. Seller is not responsible if the horse is injured or contracts a virus during transport. The horse will be healthy to the best of our knowledge before leaving the yard. If we feel there is an issue we will let you know in advance. We will document its condition before leaving with a shipper. It is the buyer's responsibility to know all aspects of the sale horse including condition and quality. We will gladly provide all photos and information, so please ask in advance so there are no surprises. Vet inspection can be done at buyers expense and seller's convenience.